Manny Pacquiao aims to become a “world” champion all over again this Saturday in Kuala Lumper (“world” because Lucas Matthysse holds the “regular” WBA welterweight belt he and Manny will be fighting for) – and already rival fighters are targeting a future fight with the 39 year old all-time great. It’s no guarantee that Pacquiao will defeat the dangerous and hard-hitting Matthysse, but there is big money to be made in future fights with Pac Man should he emerge victorious on July 15. British star Amir Khan, on the comeback trail himself – currently 1-(1) in his latest return and set to face Samuel Vargas next, on September 8 – has long been chasing a huge, career-defining fight with his former spar-mate. And now, in speaking with ES News, the former 140 pound champ says promoter Bob Arum (who isn’t actually promoting Matthysse-Pacquiao) is very much interested in making a Pacquiao-Khan fight. As fans know, the fight Eddie Hearn really wants to make is the Khan-Kell Brook all-British grudge-match, and it is possible Khan will take that route instead. But Pacquiao, should he beat Matthysee and then decide to box on, remains the big money ticket; the super-fight for a number of welterweights. For Khan, it would be one huge fight and if the Bolton man, who has been written off more times than he probably cares to remember, can pull off a win, well. 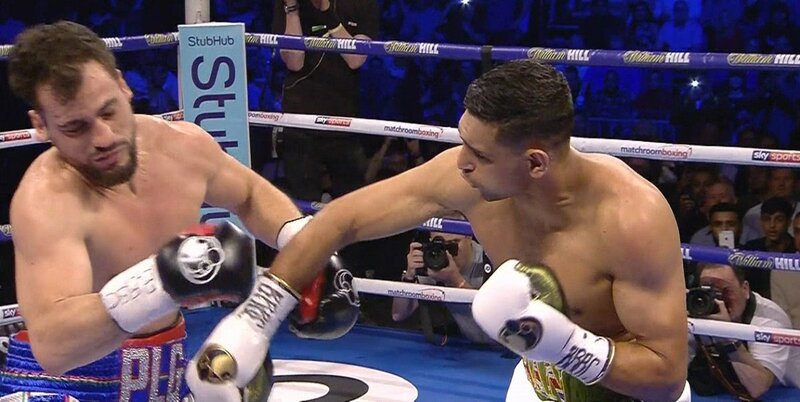 All these years later, after the two trained together under Freddie Roach and sparred one another (with 16-ounce gloves, Khan saying he did “very well” in these closed sessions in the gym) this fight still has some real appeal. Previous boxing news: Manny Pacquiao without Freddie Roach = Muhammad Ali without Angelo Dundee?